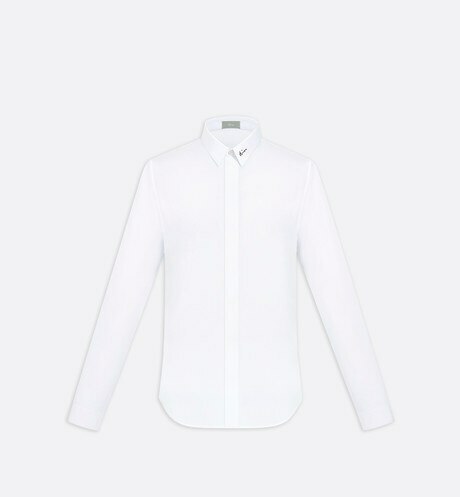 This black cotton poplin shirt features the distinctive "Dior" signature embroidered in contrasting white on the collar for a fashionable, sophisticated look. 120/2: The first number indicates the thickness of the cotton fiber. The higher the number, the finer the yarn, making the fabric even more luxurious and silky.